The year 2010 marks Artbeads.com’s 10th Anniversary! To celebrate this incredible milestone, we will be passing the savings on to you, our valued customers, all year long. 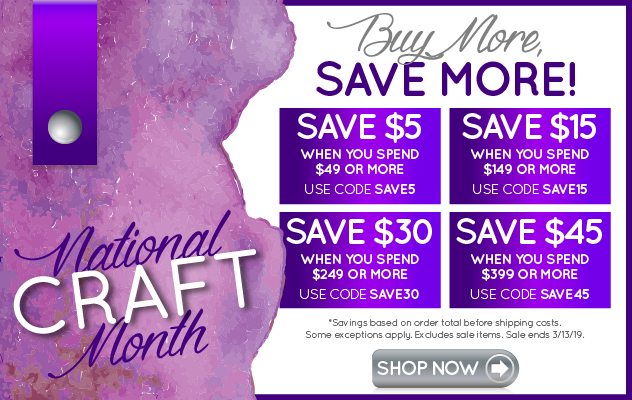 Starting on Tuesday, January 5, 2010, you will be able to save 25% on 10 of our most popular jewelry categories for one week only. This incredible sale will include Swarovski crystals, freshwater pearls, cubic zirconia, glass pendants and other high-quality jewelry and craft supplies. Throughout the rest of the year, you’ll find 10 new specials every week on some of our most highly sought after products, as well as incredible sales and wonderful new jewelry supplies. We’re doing all of this to thank you for being loyal customers throughout the past 10 years, and to let you know that we look forward to the next 10 years.